Since the beginning of March, Russia's gold and foreign exchange reserves have increased to nearly $370 billion. 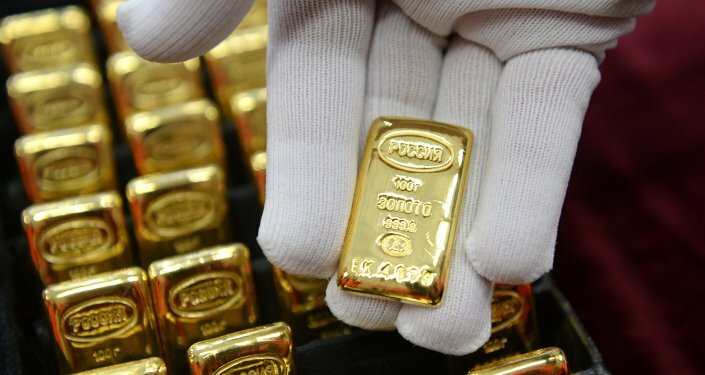 The value of Russia’s gold reserves rose by $5.8 billion, from $381.1 billion to $386.9 billion, between March 11 and 18, according to the Russian Central Bank. In seven day, Russia increased its gold and foreign exchange reserves by 1.5 percent. From March 1, the reserves rose by 1.7 percent, from $380.5 billion. They include securities, foreign exchange cash, special drawing rights of the IMF, monetary gold, and a number of other assets. In mid-December 2015, the Russian Central Bank announced that it would increase Russia’s gold reserves to $500 billion in the coming three-five years. The terms would depend on macroeconomic scenarios the government is going to implement. Gold is considered to be a buffer against external economic risks after Russia, one of the world’s largest oil exporters, was hit by a slump in global oil prices. Gold reserves were used by the Central Bank to support the ruble exchange rate. In November 2014, the bank allowed the ruble to trade freely and stopped spending the yellow metal. In November 2014, the value of Russia’s gold reserves reached $510.5 billion.